After posting about my marshmallow coco mug pops yesterday, I thought I would stick with the theme and share some adorable hot cocoa mug cupcakes! These rich chocolate cocoa cupcakes are filled with gooey marshmallow creme, topped with a sweet marshmallow-y cocoa frosting and a swirl of "whipped cream" frosting and toppings galore. These are such a festive indulgence for the holiday season and a really fun party treat! Start by creating a well for your filling. You can do this by cutting out the center with a knife, a melon baller or even an apple corer. Spoon in some marshmallow creme. Put the top back on... if you didn't eat it already. Totally fine without the top too, as you can just spread frosting over the hole. Spread your cocoa marshmallow frosting over the tops. Add your whipped white frosting to look like whipped cream and add some marshmallows! 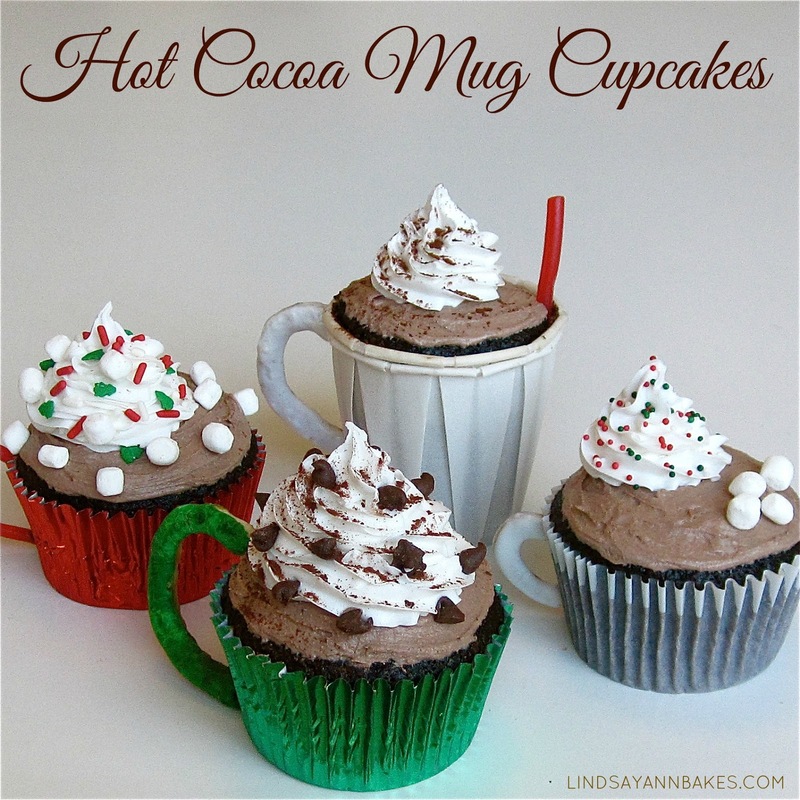 If you wanna get really festive, you can bake your cupcakes in fun baking cups or oven safe mini paper drinking cups, create a handle out of candy or icing coated pretzels to look like a mug and add fun toppings. I covered some regular and mini broken pretzel twists with cookie icing and used red Twizzlers for a handle and straw. You can top them with anything from a sprinkle of cocoa powder, to mini chocolate chips, sprinkles or itty bitty marshmallows! Combine egg whites, sugar, water, cream of tartar and salt in a stainless steel or glass bowl placed over a pot with 1" of simmering water. With a wisk or hand mixer, constantly beat for 5 more minutes, until frosting is glossy and stiff peaks form. (mixture should reach 160 degrees.) Remove bowl from heat. Add vanilla and beat another 2 minutes, until frosting has slightly cooled. Stir the cocoa into about 1/3 of the frosting. Set aside the rest for piping on top. 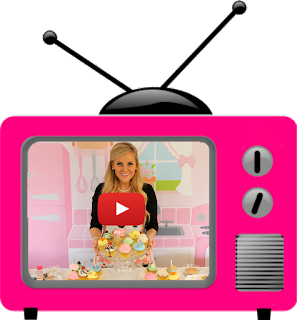 Start by filling your cupcakes with your marshmallow fluff/creme (see video below, or click here for a variety of techniques for filling a cupcake). Spread your cocoa marshmallow frosting over the tops. Pipe a swirl of the white frosting on top and add toppings!